I know you’re tired. I know you’re physically and emotionally drained, but you have to keep going. 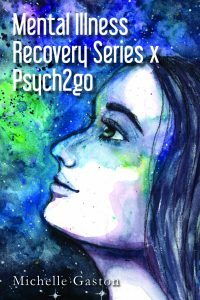 Society and social media portray recovery as a linear life event. They make it look like everything will come out perfect. This is incredibly misleading. You may end up believing there will be hardly any struggles and all of your troubles will soon go away. Social media may even trick you into believing a loved one will save you from your despair. Yes, it is essential to have support from loved ones, but only you can push yourself to overcome your inner demons. In my journey to recover from depression. I learned many dark truths. Back in high school I used to believe a guy would come into my life and make everything better. That couldn’t be farther from the truth. I also had this notion that my mind would be on my side. In all honesty my brain tried to convince me to quit trying and just die. I thought recovery would have been less challenging. I tricked myself into believing it was a once in a life time choice. The truth is recovery is something you need to choose multiple times a day for the rest of your life. You see, living life with trauma and despair trains you into thinking self-destructively 24/7. Your bad habits and poor self-defense mechanisms become a part of you. It is not something you can change in a day or week. Each day you need to remind yourself this battle is worth it. You need to believe it will get better even if you can’t see it. Many of us end up feeling disappointed when we relapse or fall back into certain habits. When this happens, you need to remind yourself you are human, and mistakes will happen. Think of recovery as an anxious friend living on your shoulder. Imagine hugging and reminding it daily to keep on fighting. But in this case your anxious friend is your mind. You need to cherish it, nourish it, protect it, embrace it, accept it for what it is, and help it let go. “In order to love who you are, you cannot hate the experiences that shaped you.” ~Stacie Swift. A tip that helped me recover was to change my victim mentality into one of strength. I used to constantly question why certain things had to happen to me. I trained myself into believing that I had to guard myself. I believed the world was out to get me. Once I noticed my behavior kept me from truly living. I decided to do something about. How can you do this? Well, ask yourself what your situation is trying to teach you. Look at your hardships as life lessons and not a life sentence. Let it mold you into a warrior. Ask yourself how you can flip your situation into a positive one. Life is harsh and unfair at times. If you aren’t careful you’ll turn into the very thing you hate. I know this may sound ridiculous! Like how can you accept what happened to you as something positive? I know it sounds silly, but I couldn’t move forward until I embraced my past fully. Once I accepted it no matter how messed up it was. I was able to start my journey for a happier life. I realized I could use my past as a catalyst and push myself into becoming the very person 5-year-old me would have been proud of. I used my past as a stool to look higher than ever before. This may sound weird, but I realized that I wouldn’t have wanted a different upbringing. My past has molded me into someone strong. Someone who loves to help and bring out the best in others. I wouldn’t have it any different. Join me on this journey to recovery. You are not alone. The world may seem hostile, but if you see past the suffering. You will realize this world is full of amazing people. Don’t stay somewhere where you are mistreated. Home isn’t a place, its where you heart feels the happiest. Don’t be discouraged when you take a couple of steps back. This is your life and you are the artist. Create a masterpiece you don’t need a vacation from. Keep in mind asking for help or seeing a mental health professional doesn’t make you weak. Are you fighting for your recovery? How are you handling your hardships? What advice can you give the viewers? Feel free to comment in the section below. Hi I’m Axelle, I’m a French young woman. Thank you for your article it is the truth. I would like to say that when I’m going to stop to work on myself I take a break and tell myself: we do not know which drop will make the plant bloom. It means for me that the result of my efforts are not obvious but it will in the long term.